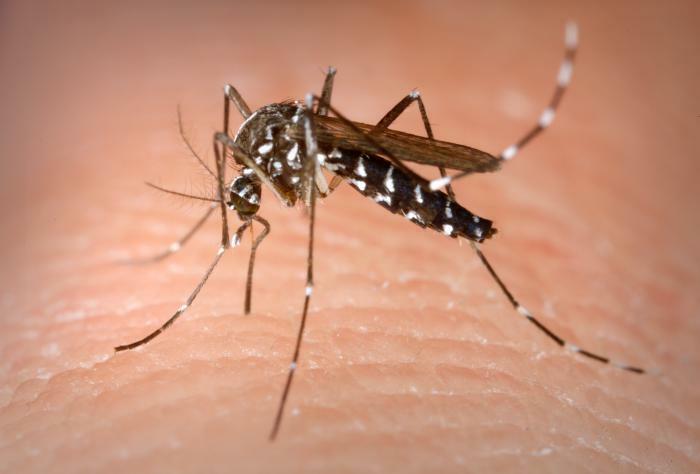 For many of us, especially in the US, mosquitoes are just an annoyance, but for many people around the world (and unfortunately also a growing number here in the US as well), mosquitoes are more than just a damper on the lovely hike along the lake or dusk bbq. Mosquitoes are carriers of an extraordinary number of other organisms, many of which are also pathogenic, causing diseases in humans and animals alike. Mosquito-borne malaria alone is responsible for nearly 1 million deaths yearly. Currently there are several insecticides used to combat mosquitoes on a large scale, but as with another other pest, mosquitoes are developing resistance to the chemical treatments currently available for controlling their populations, essentially making these insecticides obsolete. So we find ourselves on a perpetual search for the solution to the mosquito dilemma. How do we keep those mosquitoes away? Researchers have been addressing this very problem and investigating new strategies for developing mosquito insecticides. Many of the insecticides currently in use target the nervous system of mosquitoes. The team of researchers from Ohio State University have been considering a different mechanism; they are studying the efficacy of chemicals that target the renal system instead. The renal system is responsible for the removal of excess fluids (analogous to kidney function in urine excretion for humans). Removal of excess fluid is especially important for mosquitoes immediately following a blood meal. Mosquitoes take in a large quantity of excess fluid when feeding on blood that must be removed to prevent bloating and allow normal flight behaviors, including finding the host of their next blood meal (and the next victim of any pathogens they may be carrying). The researchers hypothesized that blocking the activity of renal system would provide a mechanism for death among feeding mosquitoes. They tested this hypothesis in a series of experiments in which blood feeding female mosquitoes were injected with a small molecule which is known to inhibit the function of potassium channels. Activity of potassium channels is essential for many bodily functions including proper urine waste production and removal. Within 24 hours of injection, over 90% of blood feeding female mosquitoes were rendered unable to fly. This research has provided a first step towards the development of a new strategy for combating mosquitoes. The researchers have presented a "proof of concept", showing that new pesticides that target the renal system have the potential to effectively diminish the ability of mosquitoes to fly following a blood meal, thereby reducing future encounters with people or animals. What still remains unclear is how long the effects of the potassium channel inhibitor lasts. For how long are the mosquitoes incapacitated? The results of the Ohio State research team provides the critical data needed to continue to the search for a novel mechanism for combating mosquitoes. So what's the next step? The challenge now is to identify a molecule (or variant of the one used in this study) that would be specific to mosquitoes, a molecule that would selectively impact mosquitoes and not other organisms (such as the people and livestock we're seeking to protect in the first place).